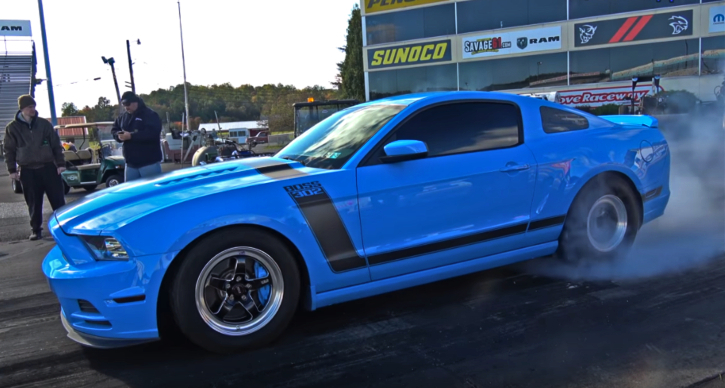 Stunning Grabber Blue Ford Mustang Boss 302 sitting on Mickey Thompson rubber she is a beauty and a beast. 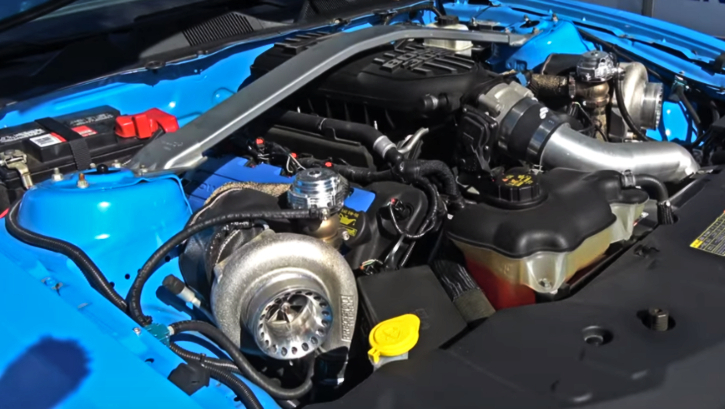 Of course to kick in 800 horsepower she needs a power adder and the Lund Racing tuned stock motor has been boosted by a pair of snails from Fluid Turbo Concepts. 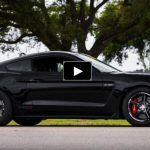 The power is controlled by a slightly modded Mt82 6-speed transmission and trust me you are going to love watching how this guy is banging the gears. 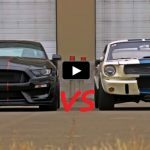 Check out the video brought to you by TalonTSi97 and be sure to smack the Like button below!